High temperatures often cause flight issues because, as commercial airline pilot Patrick Smith explained, hotter air is less dense than cooler air. That means planes’ wings produce less lift when it’s hot out, and jet engines don’t perform as well. Together, these issues mean planes are less aerodynamic, can’t get as high, and must take off and land at higher speeds, which in turn requires more runway space. 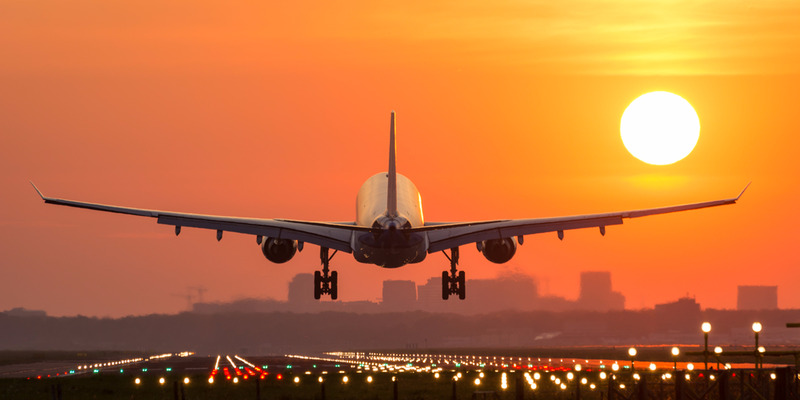 According to a new study from the Earth Institute at Columbia University, maximum temperatures at airports are expected to rise by 7.2 to 14.4 degrees Farenheit (4 to 8 degrees Celsius) by 2080. That’s because the Earth’s temperature is projected to increase by 3 degrees Celsius unless greenhouse gas emissions are radically reduced in the coming years, and tarmac absorbs heat, making temperatures at airports significantly higher. predicts that 10 to 30% of fully loaded planes may have to remove some fuel, cargo, or passengers in order to deal with these increasing heat levels. The authors calculated that aeroplanes might have to reduce 4% of their fuel capacities and payload weights in order to take off on hot days. If adjustments aren’t made, more and more flights could be at risk of getting canceled during the hottest parts of the day. “This points to the unexplored risks of changing climate on aviation,” coauthor Radley Horton, a climatologist at Columbia’s Lamont-Doherty Earth Observatory, said in a press release. “As the world gets more connected and aviation grows, there may be substantial potential for cascading effects, economic and otherwise,” Horton said. The study also warns that the aviation industry could face severe financial setbacks from rising temperatures. Serious heat can damage a plane’s internal components, and more cancelled flights, of course, create a host of difficulties for airlines and passengers. Plus, small or old airports with shorter runways would also suffer disproportionately, since planes need more space when temperatures climb. For example, the authors projected that on the hottest days, a Boeing 737 scheduled to take off from one of LaGuardia airport’s short runways would have to unload weight as much as half the time. “Our results suggest that weight restriction may impose a non-trivial cost on airline and impact aviation operations around the world,” lead author Ethan Coffel, a Columbia PhD. student, said in a press release. According to Reuters, heat waves can also be dangerous for ground crews exposed on the tarmac, since temperatures there can reach up to 150 degrees Farenheit when the air temperature climbs above 120 degrees. Alex Davies contributed to an earlier version of this article.